JXD S7300 has a 7.0 inches TN screen, a 1.5 GHz dual-core Amlogic processor, 1 GB of RAM and 8 GB of internal memory expandable via a microSD card slot. On top of that, the S7300 GamePad 2 has a mini HDMI out, a micro USB port for charging and data transfer, a 3.5 mm headphones jack and a mains charging port. There's a strip of physical controls down either side of the screen, with a layout reminiscent of a portable games console or controller. This tablet even has trigger buttons. The OS is Android 4.1.2 Jelly Bean and there's no custom interface over the top. 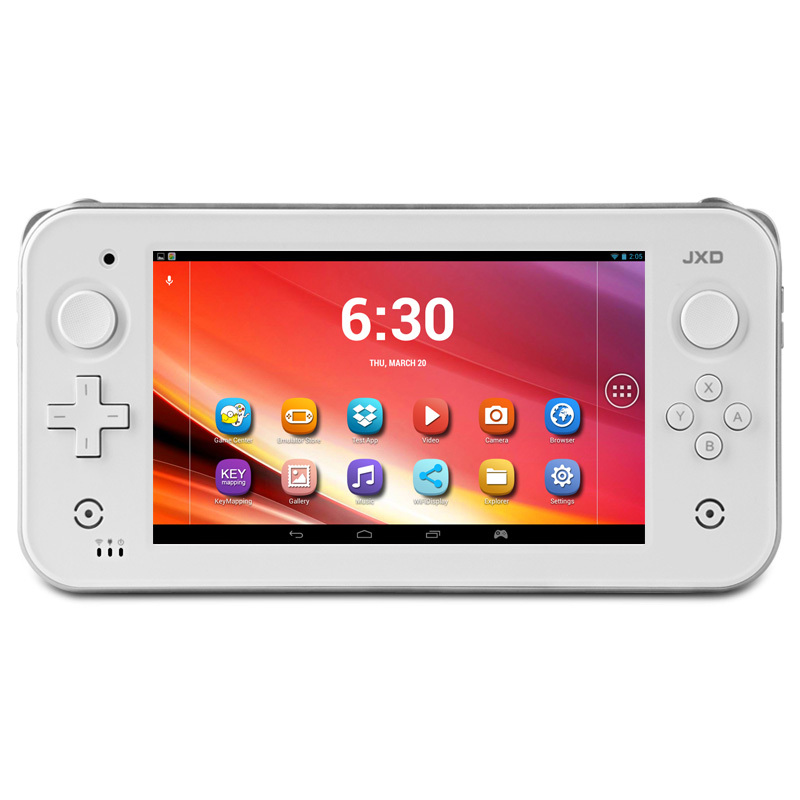 The JXD S7300 GamePad 2 is available in black or pearl white.